To some brides the dress is the most important detail of their wedding. They spend countless hours and days trying on dress after dress to find the one that makes them feel just right. We would like to recognize some of our beautiful brides and their gowns for being spectacularly unique and personal to each one. Finding a dress to remember for your special day, isn’t always easy, but here are some of our brides who got it just right. 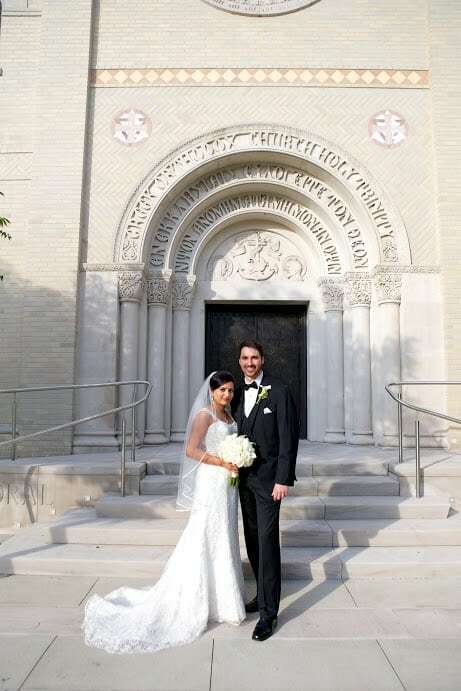 This beautiful bride, Sonia, expressed not only her own culture but her groom’s as well. Her wedding featured bold red and gold colors to go along with her red saree and gold jewelry. 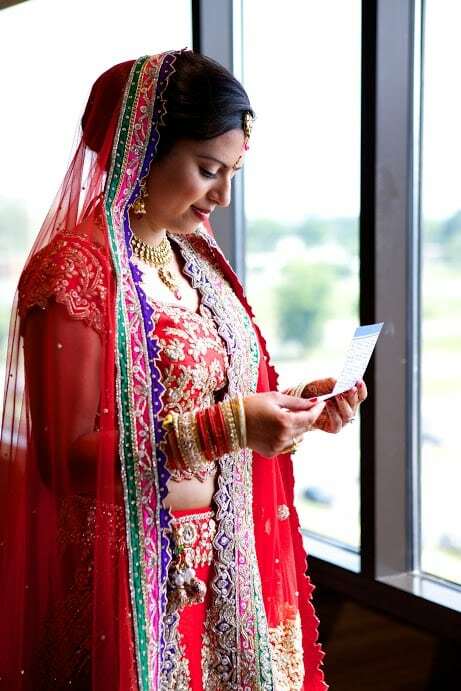 Photographed by Arden Photography, they captured the beauty of both gowns perfectly and the sentimental value behind both cultures represented. See more from Sonia’s wedding here. 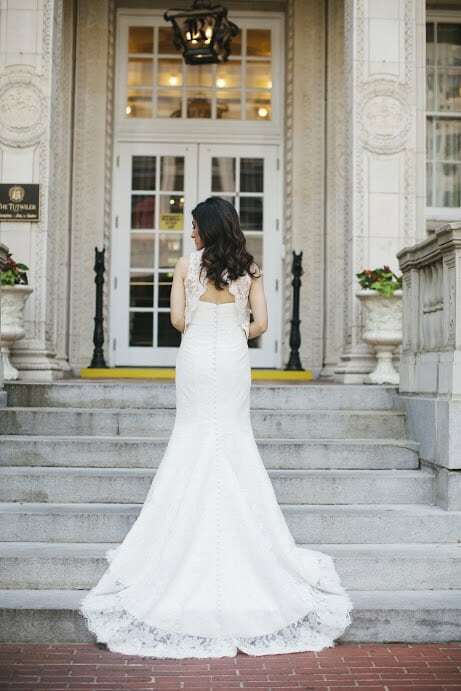 This bride’s romantic gown shows off not only her elegant shape but a sweet and delicate side to the bride’s personality. Surrounded by her bridesmaids, Addi, shows off the lace back to her dress while being photographed by Open Eye Photography. Addi and Adam’s wedding was filled with love, friendship, a lot of dancing and having the perfect dress just topped the night off and dazzled guests. 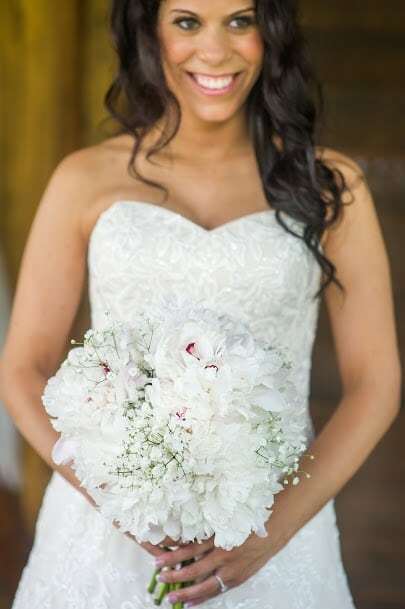 This beautiful beaded gown was worn by Nicole Rodriguez for her May wedding at the Barn at Shady Lane. 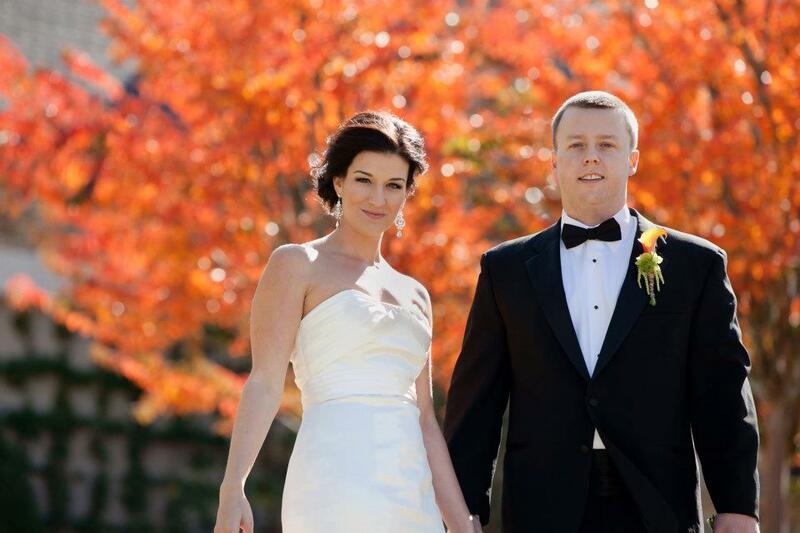 Her dress made the perfect transition from the outdoor ceremony to her indoor reception. Photographed by Alisha Crossley Photography, every bead and layer of her train was perfectly captured throughout the night. 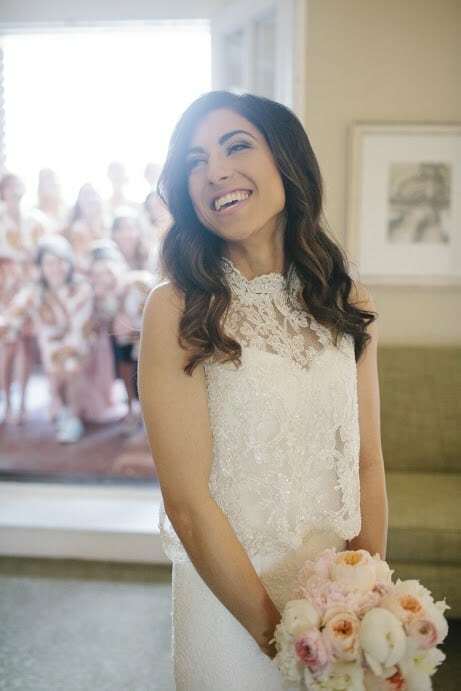 Whether she was saying her vows to her husband to be or dancing the night away with her bridesmaids, Nicole’s dress shined through the night. Kellie wore this simple ivory fitted gown, from Ivory and White, as though it was made for her. What we love most about his dress is the confidence it seems to give the bride. Not only should your dress be something you feel comfortable in, but be a gown that gives you the confidence to step into your new life. 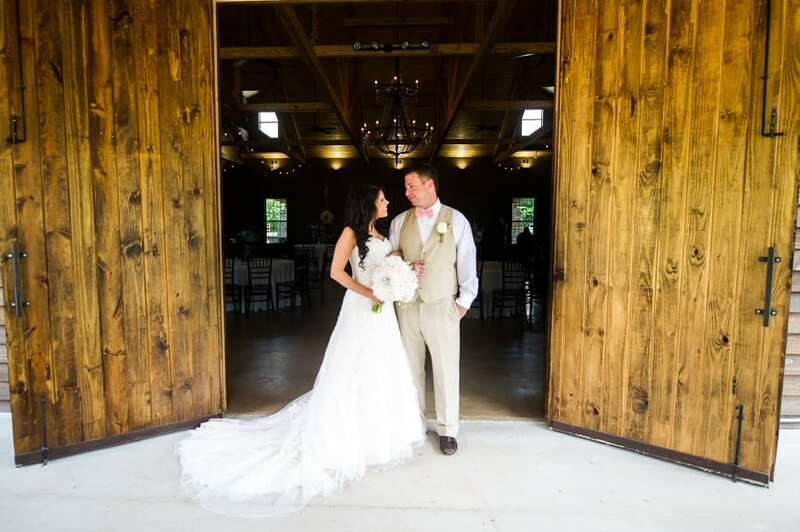 Wynter Photography was able to capture the love and passion at Kellie and Michael’s wedding as well as the beauty of the scenery surrounding them. 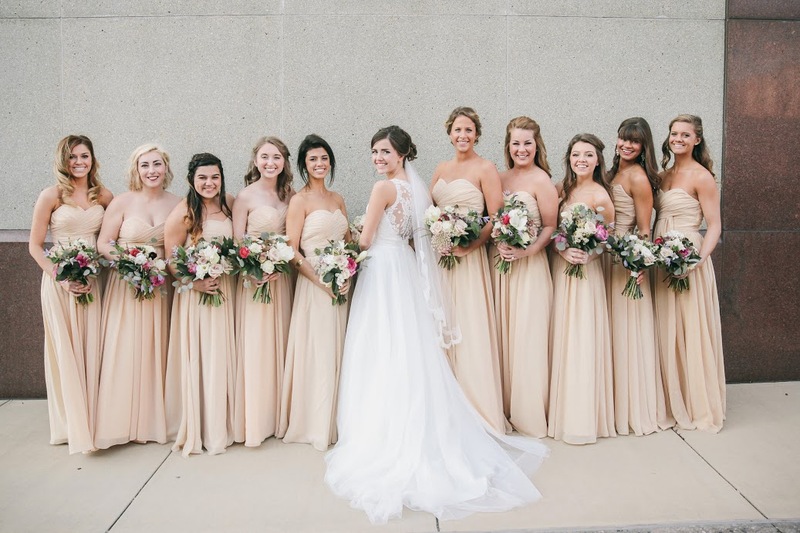 Leslie Hollingsworth captured this bride’s perfectly unique and elegant dress beautifully. This dress fits the bride, Kelly, in a way it wouldn’t fit most brides. The high neck and peep hole back really show off the bride’s personality and grace. This is certainly not a dress that guest would expect to see which is part of the reason we love it! No matter your style or theme, no matter if you’re indoors or out, your dress should be uniquely you. With thousands of dress choices it can be easy to get lost in a sea of ivory and lace, but keep your head up. Once you find a dress to remember for your special day, you’ll know it. The dress is one of the highlights of the wedding but don’t get caught up in what others want, finding a dress that fits you is all that matters. 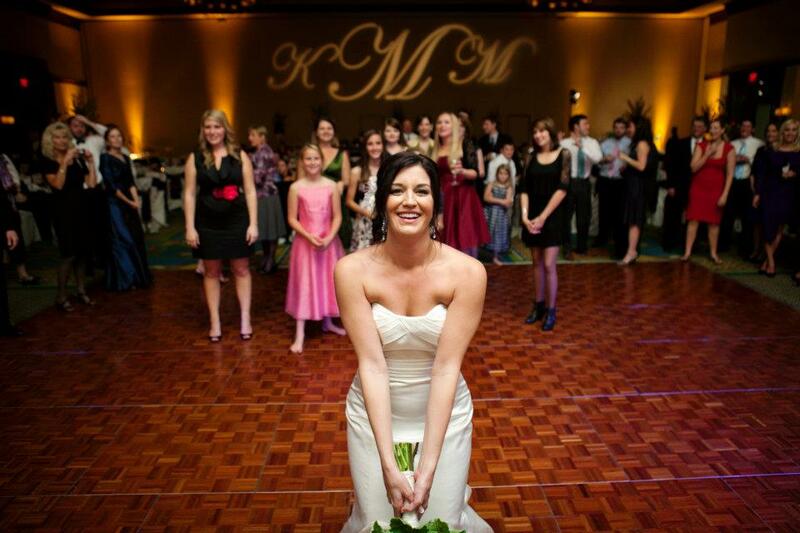 If you love your dress, your guests will too!